From early music theory, library book lists, monastic rules, chanted saints’ offices, guild and confraternity records, and the virtually unbroken set of registers of the aldermen of Ghent, I will discuss the heavenly music of number and the earthly music of singing and instrumental performance as it was known and taught in medieval Ghent, the most populous city north of Paris in 1400. Unlike most European cities, where the earliest monastic communities and small churches were transformed or subordinated to cathedrals and collegiate churches in the twelfth and thirteenth centuries, the city of Ghent was from the very beginning until the sixteenth century dominated by two very old Benedictine monasteries, St Bavo’s and St Peter’s, both founded in the seventh century. Even the eight parish churches in the city were subordinate to them, and the only independent church, the collegiate church of St Pharailde, which was the church of the counts of Flanders, was relatively poor throughout its history. As a consequence, music teaching was informed at first by the abbey libraries and participation in the liturgy, later by the patronage of the city government, and also by lay citizens, who actively promoted music and even private music teaching. They included the Vijd family, who established a daily sung mass before the painting of the ‘Adoration of the Lamb’ of the Van Eyck brothers, without which the painting is incomplete, as I will argue. In the sixteenth century, when the parish church of St John’s was transformed into the cathedral of St Bavo by way of secularizing the community of monks, music and education in Ghent changed to become an outward expression of prosperity befitting the birthplace of Emperor Charles V. Teaching over these centuries was passed down through families, with learning by example and by doing, but also effected by the oral delivery of texts, and by group lessons. While tradition was valued in the teaching of speculative and liturgical music, novelty was sometimes encouraged in the teaching of instrumental performance and instrument-making, and travel was essential. Barbara Haggh-Huglo specializes in medieval and Renaissance music, its notation, theory, sources, and archival documentation, and its place in urban life and at courts. Her research has taken her to most major libraries and archives in Europe, many in the United States, and more recently, to Mexico. She teaches early music notation and seminars on composers (Ciconia, Du Fay, Josquin), music in the early modern city, and musical settings of the Mass from Machaut to Bernstein. 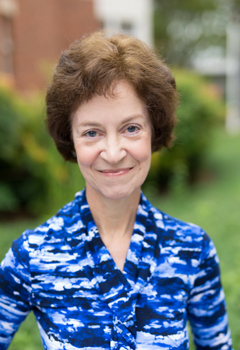 A past Vice President, Program Chair, and Member of the Directorium of the International Musicological Society, and former Chair of the IMS Study Group ‘Cantus planus’, Dr. Haggh-Huglo has a list of more than 100 publications (see RILM and the link to her bibliography below) resulting from grants from the Fulbright-Hays Foundation, ACLS, American Philosophical Society, British Academy, IREX, Katholieke Universiteit Leuven, Leverhulme Foundation, NEH, Université Libre de Bruxelles, the Région Poitou-Charente (held at the Centre d’études supérieures de civilisation médiévale in Poitiers, France), the Yale University Institute of Sacred Music, and the Renaissance Society of America. Her dissertation on music in late-medieval Brussels, a city from which only fragments of polyphony survive, led to further archival studies: her book soon to be in press, Recollecting the Virgin Mary in Music: Guillaume Du Fay's Chant across Five Centuries, includes scholarly editions of a 1458 Marian office by Gilles Carlier and with plainchant by Guillaume Du Fay and a 1583 revision of that office, both sung for a feast celebrated in some 70 churches over 500 years. In a nearly completed book written with grants from the NEH and Yale ISM, Of Abbeys and Aldermen: Music in Ghent to 1559, Dr. Haggh-Huglo explains how music participated in major historical developments of the 9th, 11th, 13th, and 16th centuries, and includes a reconstruction of all foundations for music recorded in the aldermen’s registers between 1400 and 1500. Her edition of two 13th-century offices for St. Elizabeth of Hungary inaugurated the series ‘Historiae’ of the Institute of Mediaeval Music, now with more than 27 volumes published; her edition of the historia for St. Hilary of Poitiers in this series is in press. Dr. Haggh-Huglo also edited three collections of articles mostly on archival topics (Musicology and Archival Research, Brussels 1993; Essays on Music and Culture in Honor of Herbert Kellman, Paris 2001; Ars musica septentrionalis, with F. Billiet, Paris 2011), the proceedings of the 2006 and 2009 meetings of the IMS Study Group Cantus Planus, and was a major contributor to several exhibition catalogues, including one of an exhibition Michel Huglo designed with her. She initiated the publication of an edition by C. Meyer and translation by K. Desmond of the treatise attributed to Lambertus / Aristoteles, for which she translated Dr. Meyer’s Introduction and Commentary (RMA Monographs 2015), and contributed to Dr. Meyer’s catalogue of the notated manuscripts of Nord-Pas-de-Calais and Picardy, vol. 1: Abbeville, Amiens, Arras, Bergues, Boulogne-sur-Mer, Cambrai (Brepols, 2015). Her articles are on topics as diverse as Aurelian of Réôme’s Musica disciplina, music theory in medieval libraries, musician secretaries, local economies and music, processions and theater in the Low Countries, the Marian office of the Order of the Golden Fleece she rediscovered and Van Eyck’s ‘Adoration of the Lamb’, liturgical nonconformity in Cambrai, and the first antiphoner printed in Paris. Her most recent articles concern the music theoretical background for chant performance and composition in ninth and tenth-century saints’ offices. Dr. Haggh-Huglo also published many articles with her late husband, Michel Huglo (d. 2012), including a new interpretation of the famous manuscript of 13th-century polyphony, ‘F’ (Revue de musicologie 2004), which they claimed was a gift to King Louis IX on the occasion of the Dedication of the Sainte-Chapelle in Paris. She is completing Michel Huglo's dictionary of medieval musical terms in four languages, Le latin musicologique, and his list of manuscript sources of the musical diagrams of Plato’s Timaeus and later commentators. Dr. Haggh-Huglo serves on the editorial boards of the series Historiae (as noted above) and of the periodicals Journal of the Alamire Foundation, Musica disciplina, Plainsong & Medieval Music, and Revue belge de musicologie. She is also on the boards of the online projects CANTUS, RELICS, and Archivum de Musica Medii Aevi. Since forming in 2011, Flemish-based BachPlus has earned a reputation as one of Belgium’s leading Baroque ensembles. 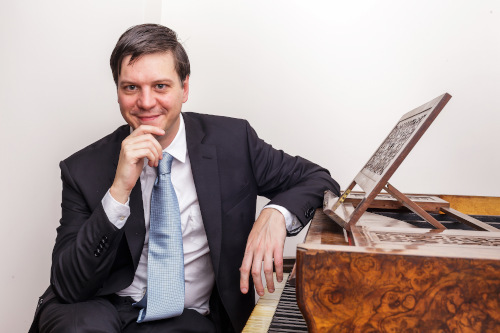 Fueled by curiosity, admiration, and wonder, the musicians of BachPlus offer refreshing interpretations from the Baroque repertoire, mainly focused on the oeuvre of J.S. Bach and his contemporaries. Using historical and historically-inspired instruments, BachPlus seeks to create a warm, friendly, yet highly professional atmosphere to connect with, and enthrall, music lovers from far and wide. In addition to organizing its own projects locally, the ensemble is frequently invited to share its vision with audiences throughout Europe and beyond.